Enhance your home or business with the CAE Lotus Single Lever Vanity Faucet. These traditional faucets work as either bathroom or kitchen faucets. A single handle make these faucets ideal for any bathroom design. Manufactured by CAE, these faucets are made to last. Whether you’re looking for faucets for your home or business, there’s no better option than these vanity faucets by CAE. 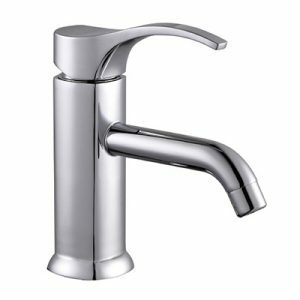 These classic, single-handle faucets make the perfect kitchen faucets, but they are also beautiful bathroom faucets. Since these faucets are made by CAE, a leader in faucet manufacturing, you’ll gain peace of mind in knowing that you’re buying high-quality faucets that are made to last. Get them here in Barbados with Fiberpol today!